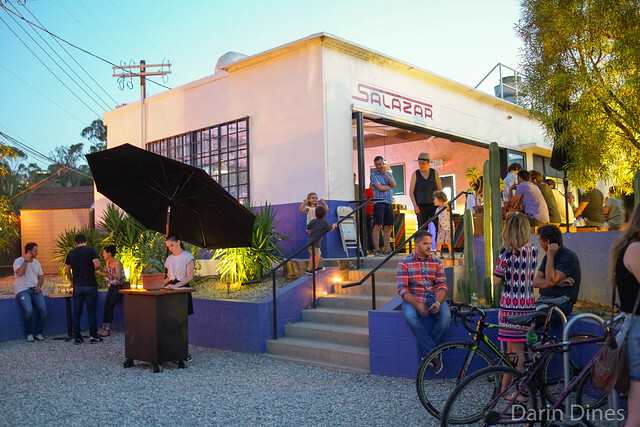 Salazar is the latest concept from Esdras Ochoa of Mexicali Taco with business partner Billy Silverman. 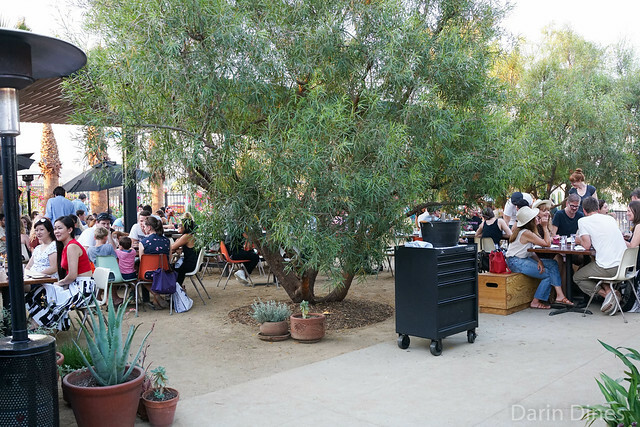 Located in the Frogtown neighborhood just north of downtown, it’s been a big hit since opening in May. The concept, to me, is sort of a taqueria-steakhouse mash-up. A variety of tacos are available, similar in style to the ones at Mexicali (of course), as well as large format proteins eaten with tortillas. Appetizers and sides round out the food portion of the menu. A full bar is also available with cocktails and spiked agua frescas. With a party of seven, we were able to try quite a bit of the menu during this visit. 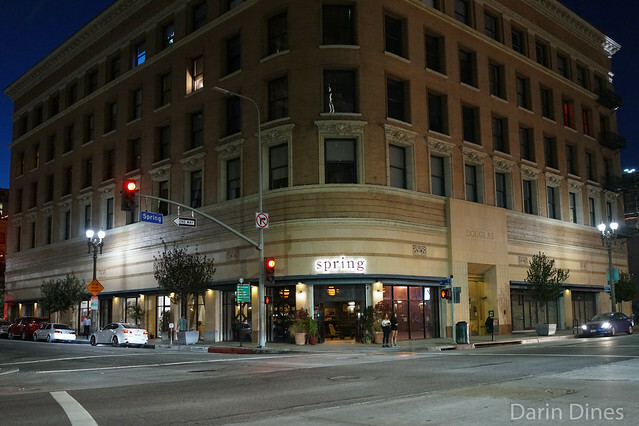 Spring opened at the corner of Third and Spring in February after a long, long, wait. 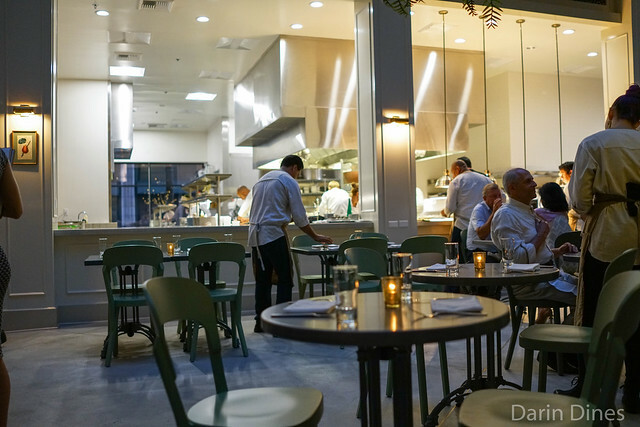 The restaurant is from the team behind the Arts District’s Church & State with a fairly similar concept. 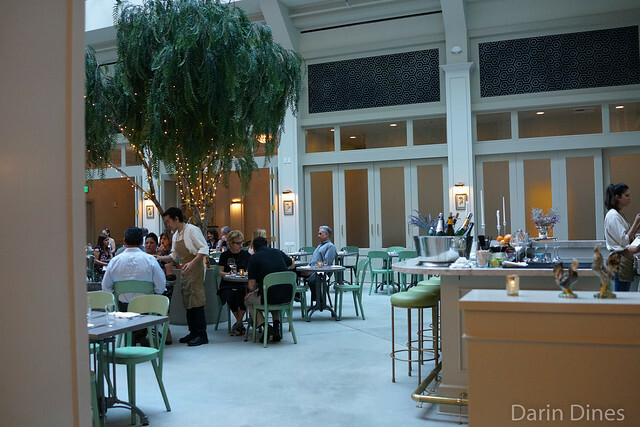 Whereas Church & State is traditional French bistro, Spring expands its scope to a little more of the Mediterranean. The space is beautiful essentially a large open atrium with a tree at its center. Plenty of natural light shines through while an expansive open kitchen greets patrons as they walk in. Boa Steakhouse is part of the Innovative Dining Group, the Socal-based group that includes concepts like Sushi Roku and Katana. There’s three locations of Boa including this one in West Hollywood, Santa Monica and, of all places, Abu Dhabi. I’ve been to this location of Boa once before for a birthday party and had a good meal. Since it was a large party during that visit, everyone had to order off a set menu. This time, we had free reign to order whatever we wanted off the full menu. 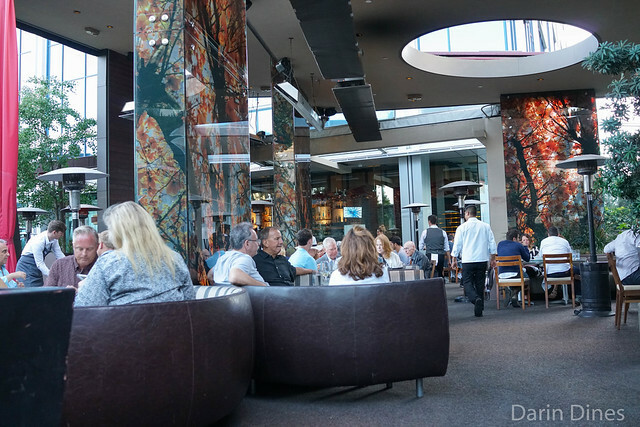 Most of the restaurant’s seating is out on its beautiful and expansive patio. It’s a really nice setting on warm evening.